Your suite includes modern lifestyle safety amenities and security systems. Our bright and spacious suites are prewired for phone and cable and include a kitchenette as well as an ensuite bathroom with shower. Your comfort is assured with individually controlled heating and air conditioning. 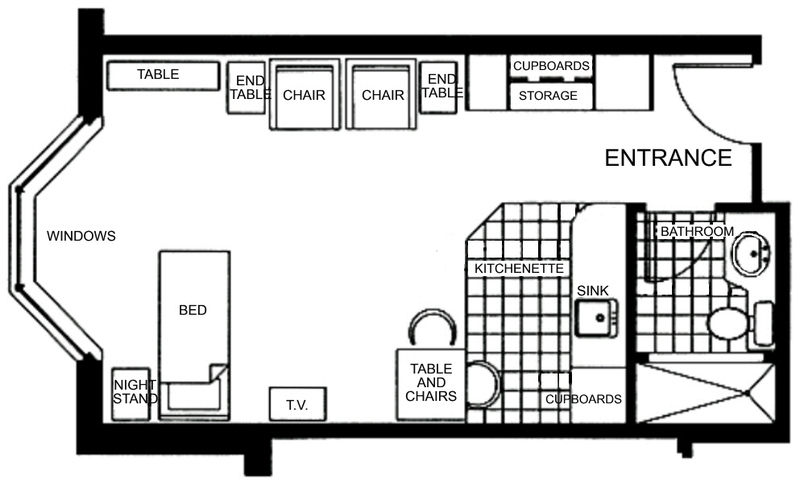 Our studio suites range in size from 325 sq. ft. to 400 sq. 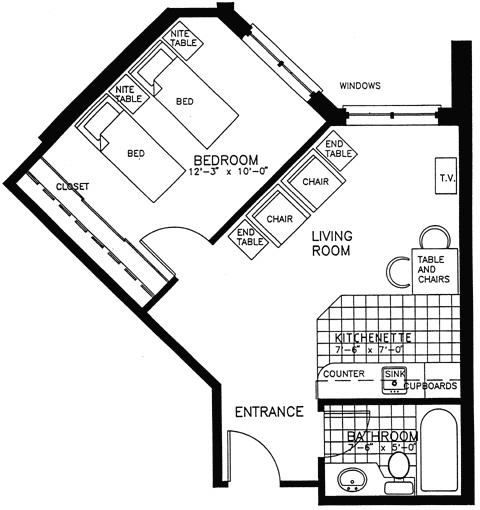 ft. Each suite is private and features a kitchenette with refrigerator and a three or four-piece bathroom. The large windows allow ample natural lighting and come with sheers. Our one bedroom suites range in size from 400 sq. ft. to 535 sq. 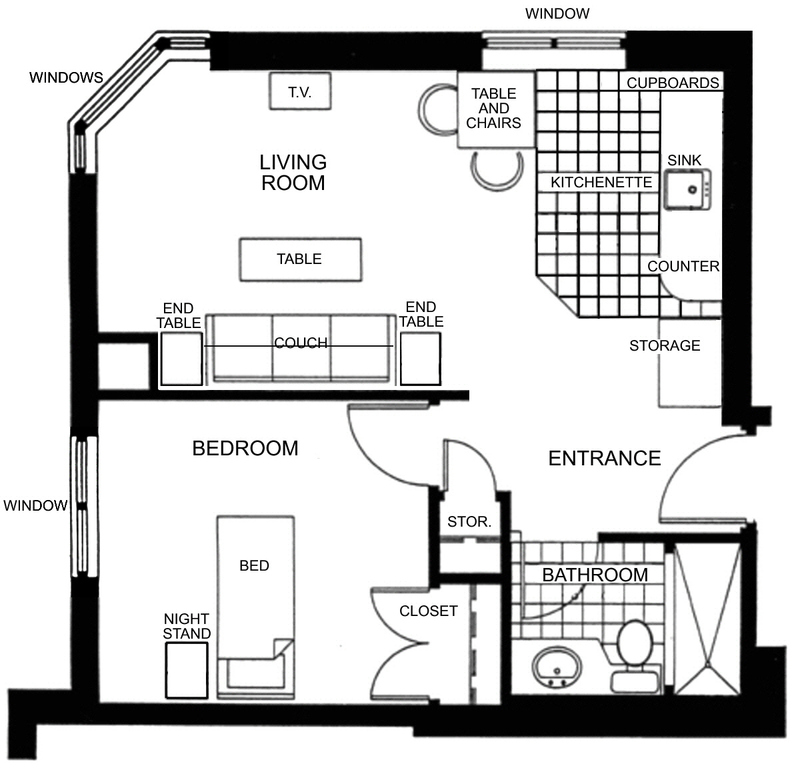 ft. Each suite is private and features a kitchenette with refrigerator and a three or four-piece bathroom. The large windows allow ample natural lighting and come with sheers.